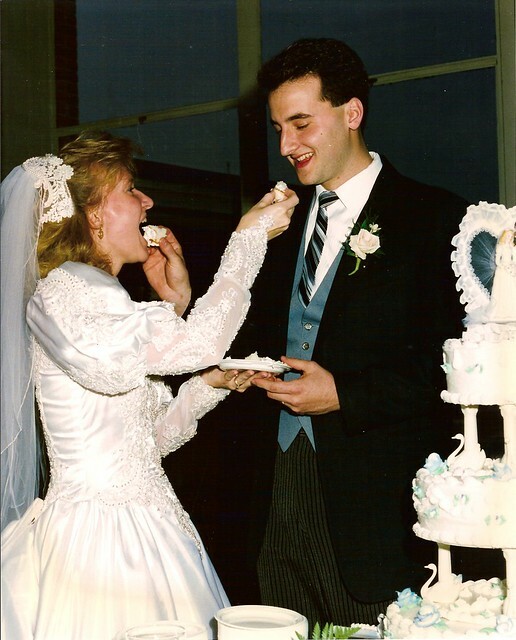 Normally I’m not at a loss for words, but as I write this I truly can’t come up with anything that would come close to adequately describe how I feel today about the woman who joined me in saying “I do” 25 years ago today. What I can say is that I’m amazed that 25 years can seem to pass so quickly and yet every one of those years feel like they pack a lifetime of memories. None of those years were easy; all held days, weeks and months of ecstasy; some held weeks or months of challenges and pain; most held a dose of all of that. The result is that we stand together here on the other side of those 25 years and I love her more than I could ever imagine back when we were so young and untested. Most people spend their lives wondering if they’ll ever experience a miracle. I wake up every morning and look into the eyes of mine. I’m truly a man who’s been blessed beyond measure. This entry was posted in Family, Uncategorized and tagged celeste lowder, jon lowder, lowders, marriage on March 7, 2017 by Jon Lowder.